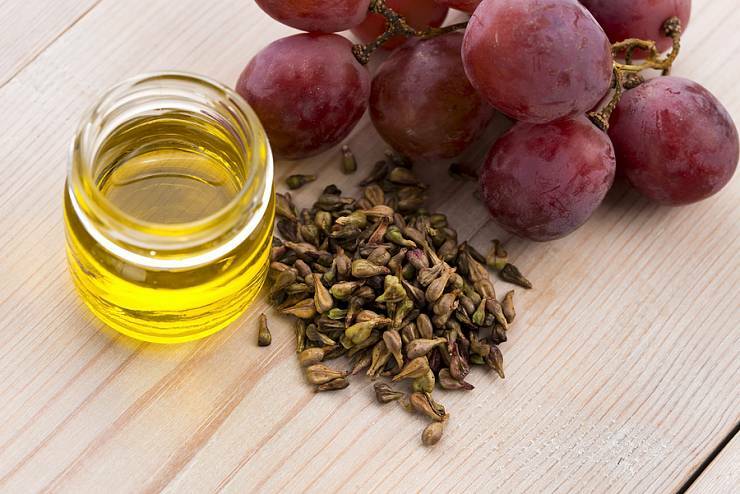 Grapeseed oil is obtained from the seeds of grape plant, Vitis vinifera. The seeds oil is a skin conditioning agent known to contain potent antioxidants. Lightweight and yellow in color and can be used on its own or mixed in products. It’s an easily absorbed, gentle oil that feels light on the skin. Known in the cosmetics industry as a carrier oil, it is easy to see why it is a popular ingredient for use in creams and lotions. This oil is extremely rich in beta-carotene and vitamins D, C, E. It also has a high concentration of essential fatty acids like palmitic, stearic, and linoleic acid, the properties of which have been known to combat the dreaded enemy – wrinkles!